Updating both Inside Microsoft SQL Server 2008 T-SQL Programming (Microsoft Press, 2009) and Inside Microsoft SQL Server 2008 T-SQL Querying (Microsoft Press, 2009), the book gives database developers and administrators a detailed look at the internal architecture of T-SQL and a comprehensive programming reference. 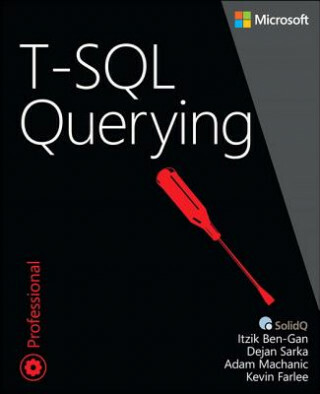 Tackle the toughest set-based querying and query tuning problems-guided by an author team with in-depth, inside knowledge of T-SQL. Deepen your understanding of architecture and internals-and gain practical approaches and advanced techniques to optimize your code's performance. The book covers many unique techniques that were developed, improved, and polished by the authors over many years of experience, providing highly efficient solutions for common challenges. There's a deep focus on the performance and efficiency of the techniques and solutions that are covered. The book emphasizes correct understanding of the language and its underlying mathematical foundations.